With the Rupee falling, bank interest rates rising and gold prices nearing multi-year highs, 2018 will continue to be "no less challenging" than 2017 for the metal's No.2 consumer nation says the new Gold Survey 2018 from specialist analysts Thomson Reuters GFMS. After the imposition of sales-reporting and extra Goods & Services Tax on gold in 2017, change "is no longer a matter of choice for [India's gold] industry," says the report – now in its 51st year of studying global gold demand and supply – because "legislation has been passed to protect the bankers, retail consumers and in particular investor interest." The Insolvency and Bankruptcy Code 2016 came into force last November, and threatens jewelers "increasingly dependent on bank credit," says GFMS. Another new bill is set to ban unregulated deposit schemes, "a big blow to the cash flow" of jewelers offering gold accumulation programs where households make monthly cash deposits to receive a new gold item in the future. Borrowing costs are also rising and credit is getting tighter on the worsening "risk profile" of India's jewelry firms, says Gold Survey 2018, thanks to high-profile allegations of fraud from bank lenders against celebrity jeweler Nirav Modi – now fled to London amid police seizure of property and assets in a $2 billion case – as well as national jewelry chain Kanishk. "It is [also] now just a matter of time as to when jewelry hallmarking will be made mandatory in India," GFMS goes on, forcing "a lot of churn in inventory" as stores re-refine their stock and have each item stamped with its true fineness. Data revealed to the global bullion industry's annual LBMA conference in 2016 said that refiners recycling Indian jewelry found an average gold content of just 60%, rather than the 91% promised by the country's standard 22-carat grading. 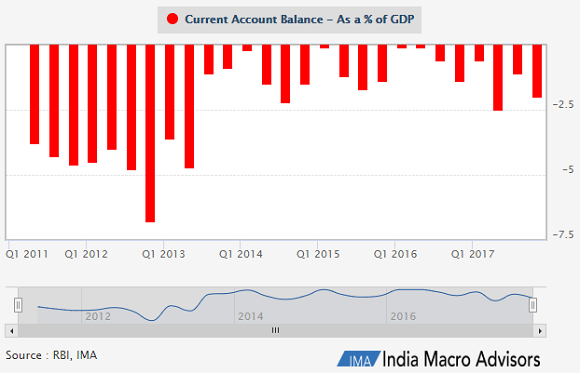 Most urgently, and with gold bullion import duty already at 10% since 2013, "India's current account balance has again moved to a precarious point," the GFMS report says, "with the deficit widening" as imports outstrip exports. 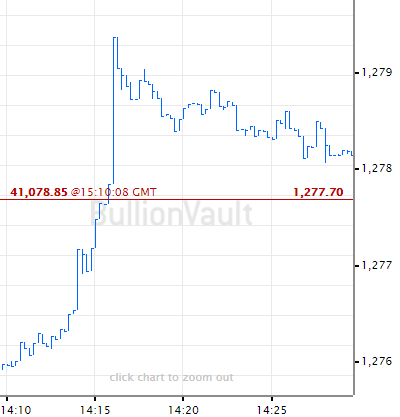 "Though gold imports have remained within a comfortable position, could gold be a target yet again?" 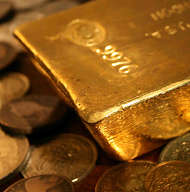 asks GFMS, adding that "the only avenue" for direct intervention by the Government "is to revamp the Gold Monetisation Scheme, such that more household gold comes back into the system thereby reducing the dependence on imported gold for the near future." India's household gold buying has already sunk by 25% over the 30 months since the BJP government of Narendra Modi launched two schemes aimed at cutting demand, boosting domestic supply, and so cutting imports to ease the outflow of money needed to pay for the metal. The schemes themselves, however, appear to have had little impact. Launched in November 2015, the Sovereign Gold Bond scheme offers to pay investors a rate of interest plus the percentage change in Rupee gold prices. By January 2018 it had collected 6,650 crore Rupee from private savers, worth below $1 billion at current exchange rates and equal to less than 24 tonnes of gold. Household gold demand has meantime totaled some 1,500 tonnes since the end of 2015 according to specialist analysts Metals Focus, compiling data for the mining-backed World Gold Council. Gold bars and coins accounted for 325 tonnes of that demand in 2016 and 2017 – a drop of one-fifth from India's private gold investment demand over the previous two-year period, but still 13 times the size of investment deflected into the Modi administration's Sovereign Gold Bond scheme. 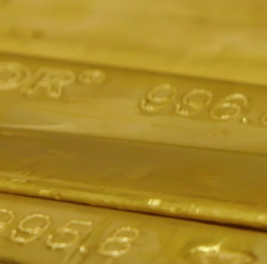 Also launched in November 2015, the Gold Monetisation Scheme offered to pay a rate of interest on physical gold put on deposit with participating banks, making it available for jewellers to meet new demand. With industry executives forecasting annual supply of 200 tonnes from this source, the GMS aimed "to unlock [some of the] 22,000 tonnes of idle gold lying in Indian households," says the Economic Times. But it has now collected " just over 6 tonnes of the metal...mostly from temples and other non-household entities." Offering 2.5% annual interest, the Sovereign Gold Bond program currently has a lock-in period of 5 years. Five-year cash deposits at India's Post Office now earn 7.4% per annum, and the State Bank of India pays 6.75%. Inflation in Asia's third largest economy last month ran at 4.8%. Reviewing the challenges faced by India's gems and jewelry industry – estimated to employ some 2.5 million, 3 million or perhaps 4 million people directly – "These transitions are going to increase the cost of the end product and eventually lead to a drop in total sales volumes," says the GFMS report.